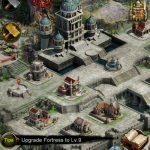 According to developer Machine Zone, Game of War: Fire Age is an action packed online war game that’s easy to play and challenging to master. Yes, you’ve probably read that line before, especially regarding casual games, but this title is anything but casual. It’s an action strategy role-playing game with a serious social element, as the game invites you to play and chat with millions of online players while you train your armies and strive to become emperor and increase your power. You can train your heroes and level them up, create “legendary” weapons, and build and customize your very own empire. But what would be the best thing to do when it comes to attacking other players? 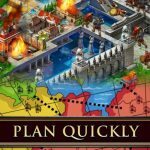 We shall now provide you a collection of useful Game of War: Fire Age strategies and tips on how to launch your attacks. In the early parts of the game, you’ll only have swordsmen, complemented by outriders, slingers, and battering rams. In other words, you’ll be controlling basic troops, but since everyone’s got to start somewhere, you might as well start big. 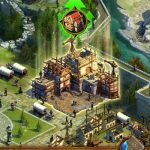 Train a large amount of soldiers, create more barracks, and keep on upgrading your barracks. Having several thousand basic troops at your command should be sufficient when attacking beginner players. When the cat is away, the mouse will play – in the context of Game of War: Fire Age, you are the mouse, and “play” means invading their kingdom. Check the map and wait until you see a player, or players who are raiding another kingdom, and while they’re gone, charge in on their kingdom and launch your attack. That gives you access to their resources, provided they’ve got surplus beyond what their warehouses can store, but if there’s no surplus, the consolation is that you can still earn silver. We guess you can call it that when it comes to Game of War: Fire Age’s troop types. Infantry generally beats cavalry but is weak against ranged, cavalry beats ranged but is weak against infantry, and ranged beats infantry but is weak against cavalry. There is a fourth main troop type – siege fighters – and they’re weak against all of the aforementioned three troop types, but very useful against city defenses whereas the other three usually aren’t. Yes, it may be a pain to check each troop for their stats, but the good thing is that scoring is simple – it’s zero to five stars for four stats, namely attack, defense, speed, and health. It would be possible to unlock more advanced troops through research – conduct research by going to the academy and beginning all researches related to combat. It’s going to be an arduous process, but it will be worth it as you gain better troops and a better leg up against other players. Unfortunately, all you get in this game is one hero – you cannot add another one to your troops, unless your original hero dies, in which you can hire someone new. We’ll tell you more about that in another tip below. But what you can do is send troops off to march without the hero; you will be able to get more marches with each time you upgrade your stronghold. The maximum would be five marches at stronghold Level 21. Heroes can be leveled up through the course of the game, which would result in you earning some skill points. These skill points can be used for various combat upgrades , and even non-combat upgrades too. Even when you’re in control of advanced troops, you would want to train as many as possible, and train siege weapons too. Game of War: Fire Age rewards strength in numbers, as you may have guessed from the first tip, so make sure you’re keeping this in mind even when you’re training advanced troops. Heroes can wield weapons and wear armor and accessories, and these can all help them gain some much-needed boosts. But crafting weapons and other types of equipment can result in more powerful items for your heroes, and that’s especially true when you attach gems in the corresponding socket. As promised, here’s what happens when your hero somehow kicks the bucket in battle. The Gymnos will let you transfer your deceased hero’s XP to the new hero, though the amount of experience that can be transferred will all depend on your Gymnos’ level. It’s true – heroes can go to jail in Game of War: Fire Age! This would happen at times when you attack a kingdom with a jail, but end up unsuccessful. Worse, this could result in your hero getting killed if the player also has an altar. On the other hand, if your attack is successful, your hero can break out of prison and return to your kingdom triumphant. Game of War: Fire Age is a very social game, and that means you can get by with a little help from your friends. This means joining an alliance, and if you’re a member, you can have your allies assist you in several ways – this could include providing reinforcements, starting a rally, or sharing troops. War leaders, who don’t have to be the alliance leader, are the ones who start the war, getting troops together at the Hall of War – this building can only hold 25,000 at Level 1, but when leveled up to Level 21, it can hold as many as two million. But starting a war is best done not against other players, but against wonders, as long as the peace period is over.